These gorgeous boots should be in everyone's collection! 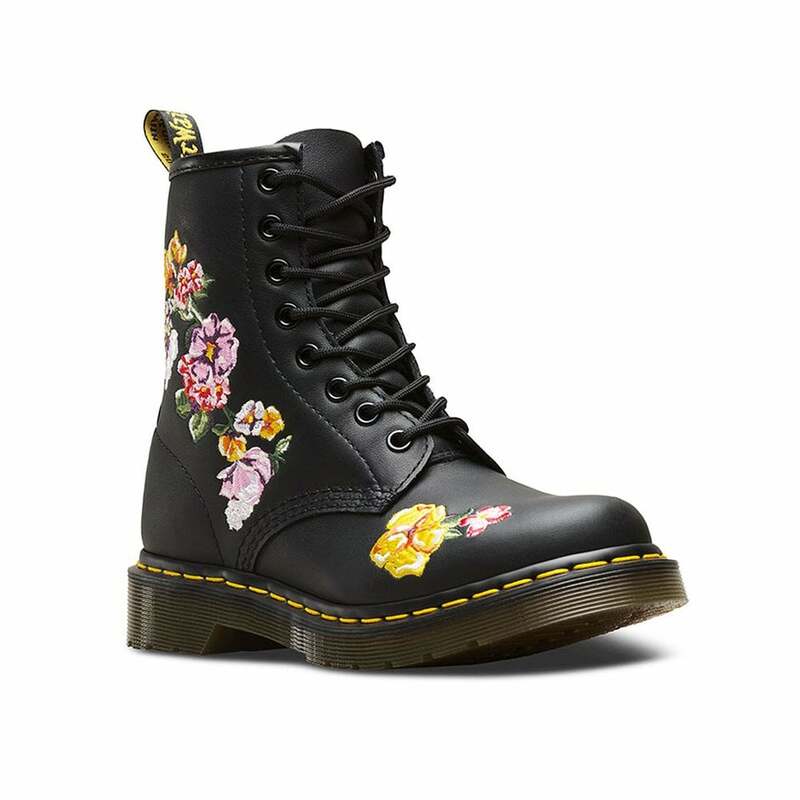 The 1460 was the first Dr. Martens boot — and this one is true to the original, but borrows style from the 14-eye 1914 Vonda, with pastel embroidered flowers cascading down the side of the boot.The 1460 Vonda II is made with Softy T, a soft yet durable and hard-wearing pebbled leather. These Vonda II also retain the Docs origin like the grooved edges and yellow stitching.